A “BEAUTIFUL rarely heard sound of the all-male vocal ensemble”, to quote from the program note, complements some of Shakespeare’s text focusing on love. The soundscape and stage sculpture is further assisted with the restrained and effective moving images on the backdrop. The vocal effect is truly stunning. The voices blend so well that, in an age of digital enhancement, it was bliss to realise the power of human sound crafted through an ancient art form. Apart from some pre-recording of the final piece, it was live and perfectly balanced. 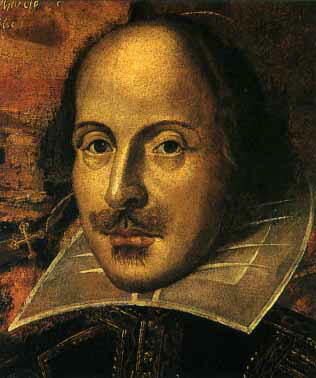 Shakespeare’s themes were secondary to the sheer magic of the sounds. While the young actors made the most of their texts, it was difficult to match the intensity of the music ensemble. Their most effective moment was a robust fight scene from “Taming of The Shrew”. It was physically demanding and very well executed; even if the words were difficult to hear for some of it. But one shouldn’t be too critical. “The Polyphonic Bard” was a novel way to present Shakespeare’s words with the singing. It was original and opened up new ways of theatrical exploration. One hopes the groups will collaborate again to take the concept further. The last piece was pre-recorded because it is Thomas Tallis’ Spem in Alium, a work written for forty voices. The Pocket Score Company are only five people so they recorded 35 voices (seven choirs of five parts) and are singing over themselves, which was the only way to do it. Hello Joe – David Yardley here from the Pocket Score Company. Thanks for your thoughtful and generous review of the Street Theatre show! Just letting you know about our next performance (this time without actors! ), “Lords of Misrule: A Pocket Score Christes Maesse” – 15th December, Wesley Music Centre, 4 pm. We’d love to see you there if you can make it.